Applicants with IELTS score of 5.5, AP6 completion or equivalent are eligible for the Pre-Destination York Program. Students who pass Pre-Destination York qualify for Destination York Program. The Pre-Destination York (Pre-DY) is an eight-week English language program for high school graduates who have not yet achieved the language requirements to enter the Destination York (DY) program. The Pre-Destination York program runs in Toronto from January through February and from September through October. The Pre-Destination York program is offered in Beijing in May and June. E-mail account, Internet and library access are supplied. English Language Institute Application Fee: $100.00 (one-time only, non-refundable) for new students. 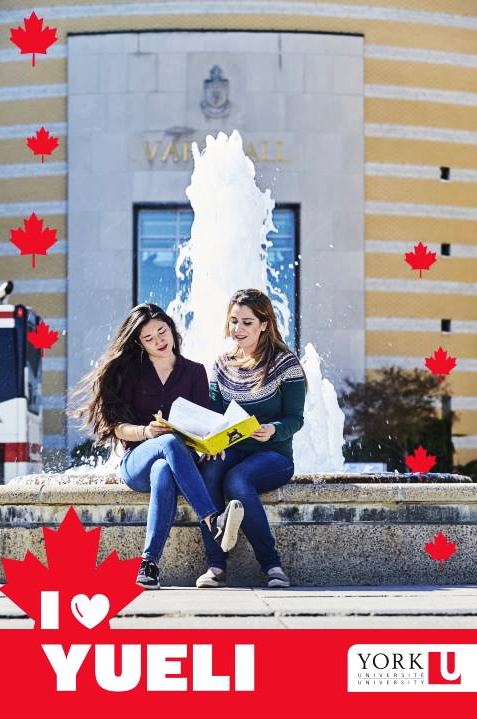 York University Application Fee: $100.00 (one-time only, non-refundable) to submit an application for York University undergraduate studies. Health Insurance (Emergency Medical coverage) is available for an additional cost of $100.00. Placement Fee: $100.00 (one-time only, non-refundable). Deposit of $200.00 per course is required to complete your accommodation request. Residence includes a meal plan.